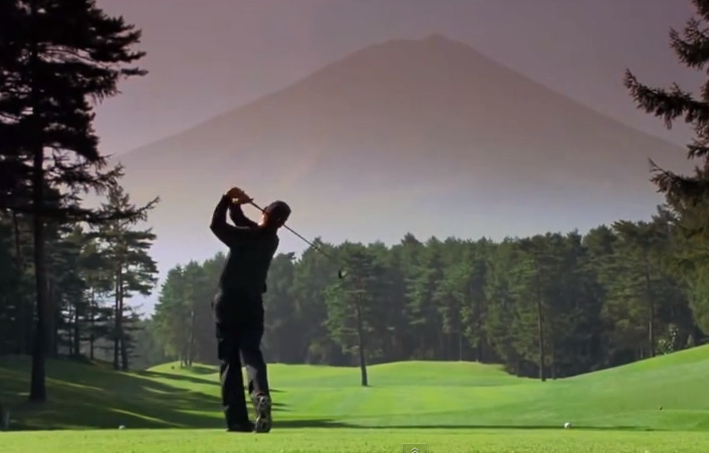 We know it’s not a golf movie but this scene from Lost in Translation is simply genius. 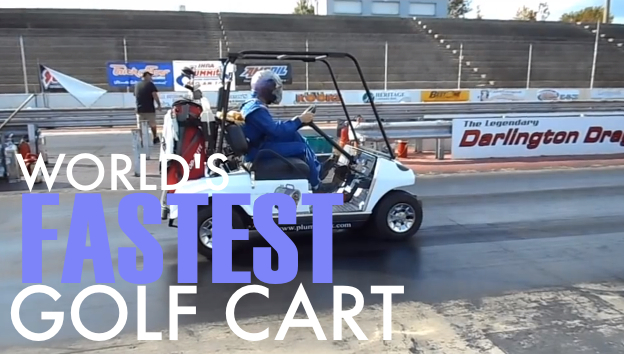 The World’s Fastest Golf Cart Yup, we want that! You have to love a game that can frustrate you enough to break hundreds of dollars worth of gear for no reason! This guy freaks the hell out and explodes steel shafts all over the parking lot. 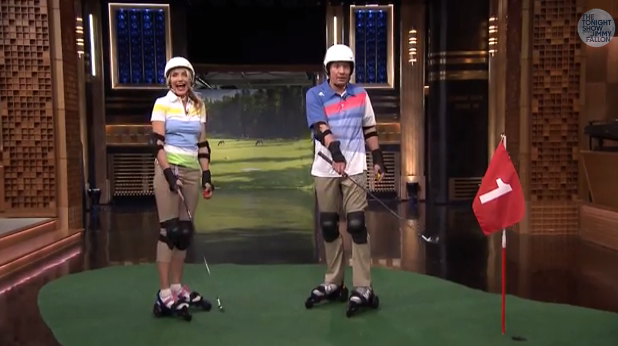 Re-caption the photo – We made the golf channel! 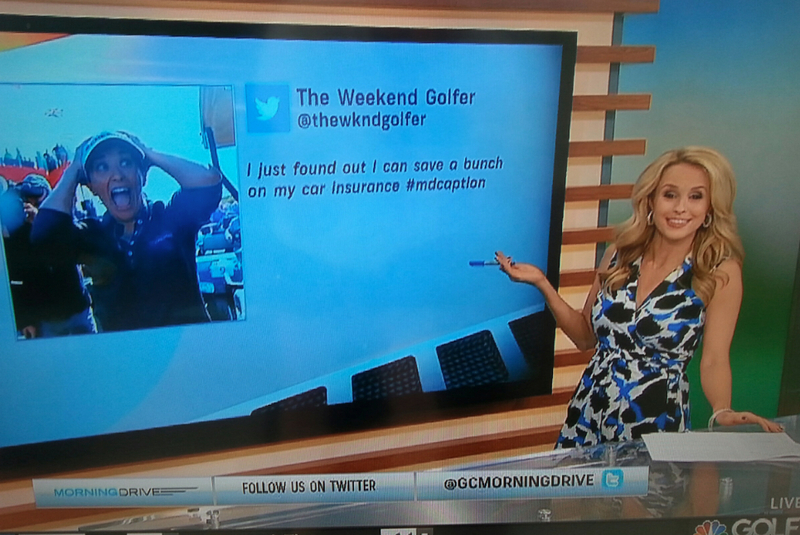 Golf channel’s Morning Drive has a re-caption contest where people can tweet their responses to #mdcaption. This morning our humorous take on a photo made the show! 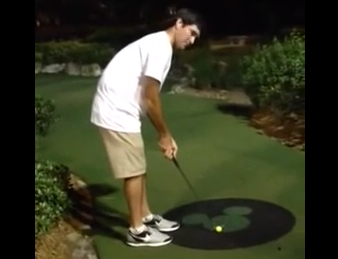 Bubba is up to his old tricks, this time over at Disney’s mini-putt course. 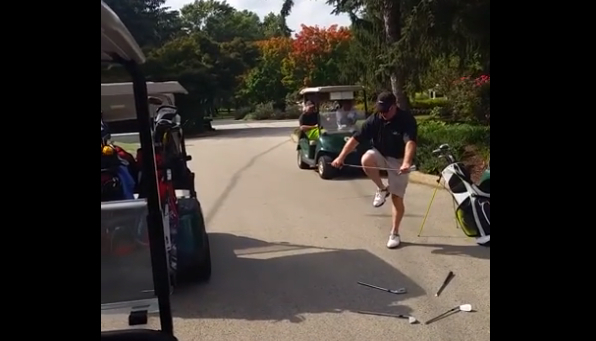 Check out this backwards putt, nothing but jar!